I wrote about a fabulous Brush Set that my friends at FragranceNet.com sent me a few weeks. Well – along with that brush set, they also sent me an awesome Eyeshadow & Lip Gloss set. I love the style of this palette. It opens on both sides and is very compact. It contains 12 eyeshadows & 8 lipglosses. 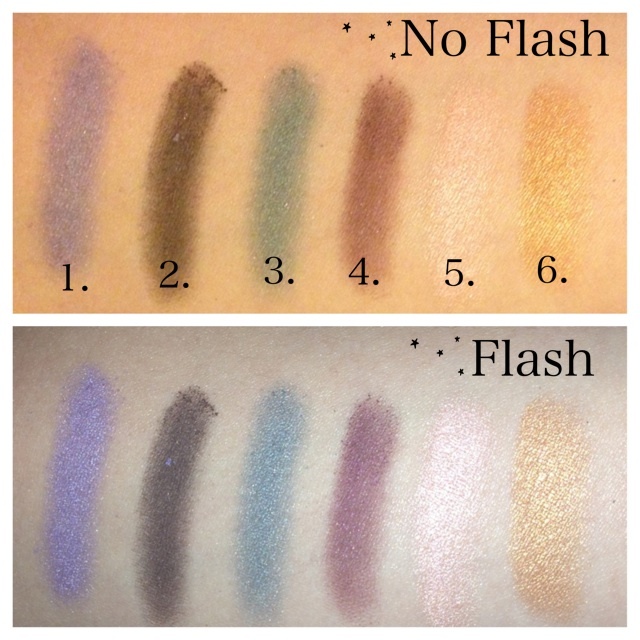 Here is a look at the eyeshadow shades when swatched on the hand. For the most part these are very pigmented but the few that were not, were very buildable. They also blended beautifully. They glided on smooth and lasted all day – which is always a plus when looking for a new shadow set. 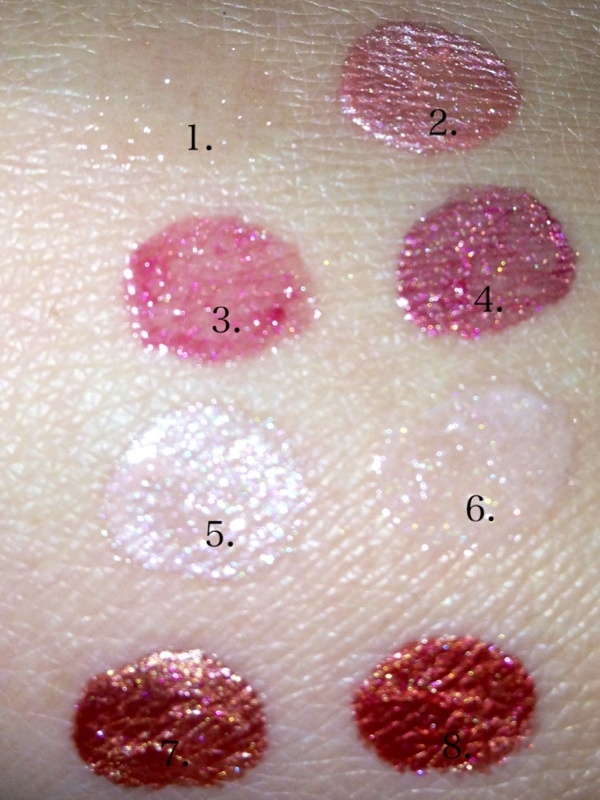 I LOVED these glosses. They were not sticky and gave a great shine to the lips. I don’t have any pictures to post wearing them because I had a hard time capturing the true color in pictures. Since these are glosses and not lipsticks they are not opaque but still give a great tint of color. I would love if these came in individual tubes so I could toss one in my bag. Since receiving this great package from FragranceNet.com – I have been able to play around with the shadows. Here is a look at two easy looks that I captured. 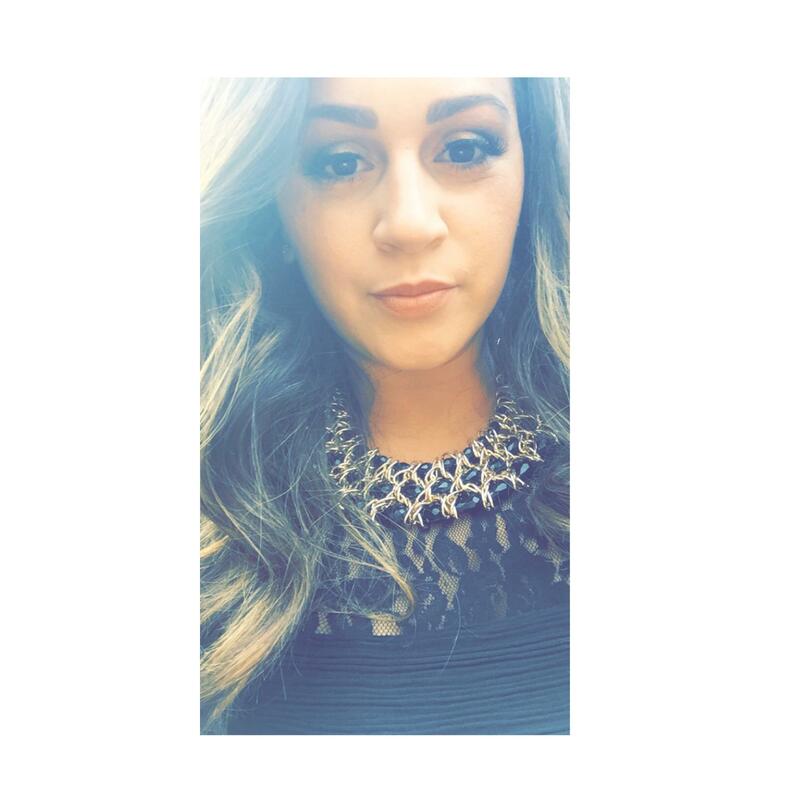 For this look, I used the right side of the palette (matte). 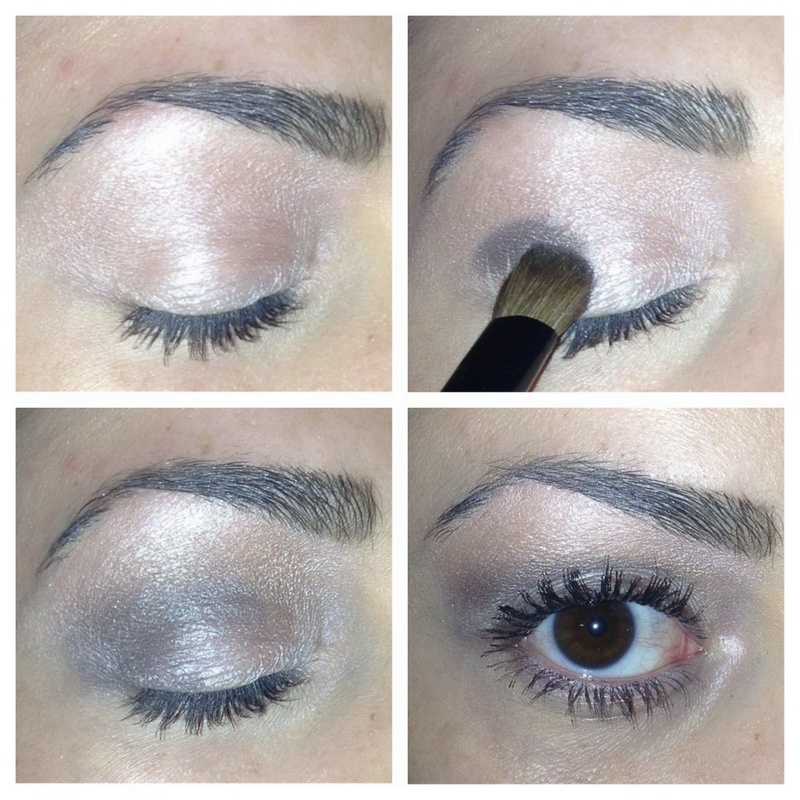 I used #5 on the full lid up to the brow bone using the large shadow brush (seen here) I then used the small shadow brush and blended #2 first on the outer V into the center. Just blend until you get the color desired. For a more bold look, after blending dab more color until you build up to the tone you like. For this look, I used the left side of the palette (shimmer). 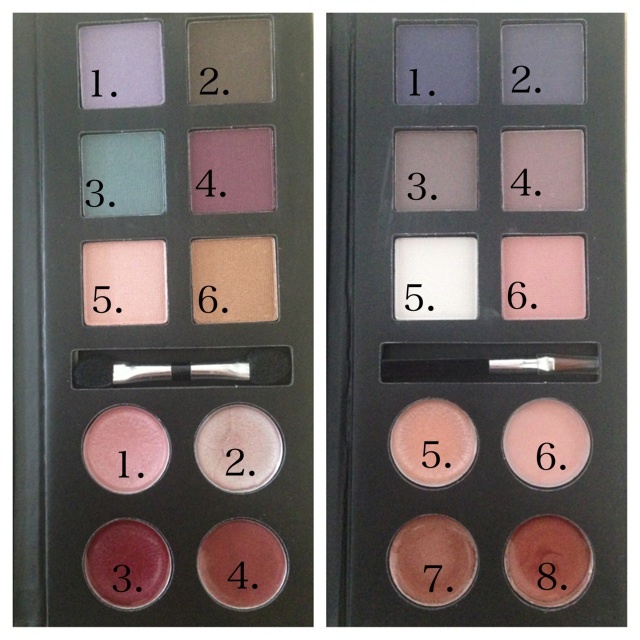 I used #5 on the full lid up to the brow bone using the large shadow brush (seen here) I then used the small shadow brush and blended #4 first on the outer V then across the lid into the crease/above crease. 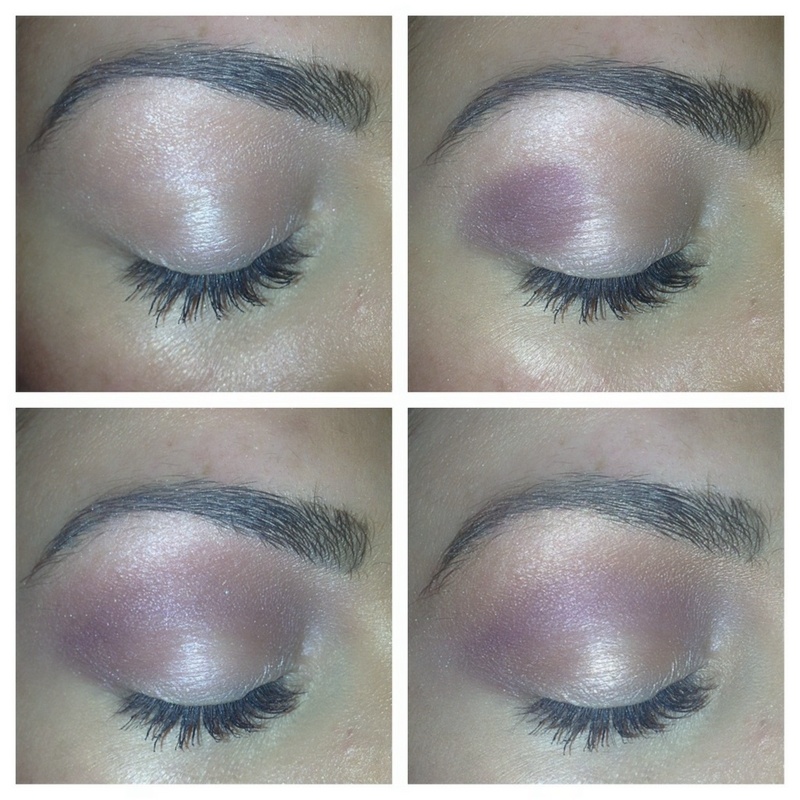 Lastly I used #6 and sweeped across the brow bone & lid. I love this set. 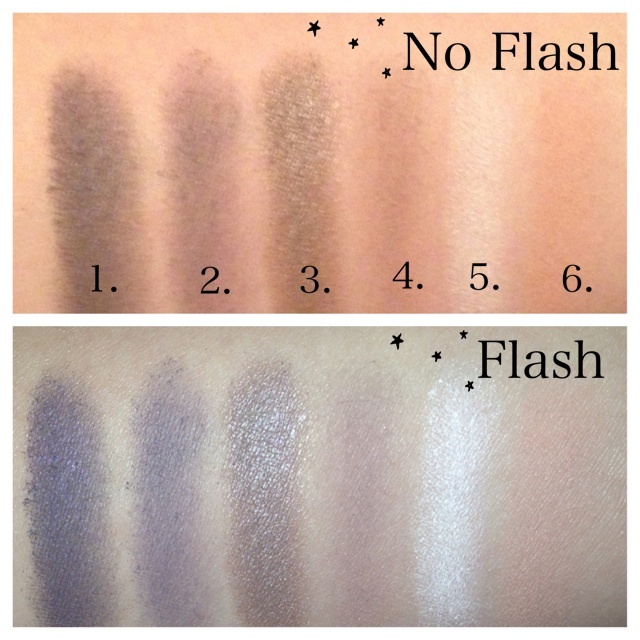 The shadows and glosses come in great shades and they are long-lasting. Pick this up as it will be an asset to your collection, especially when traveling.